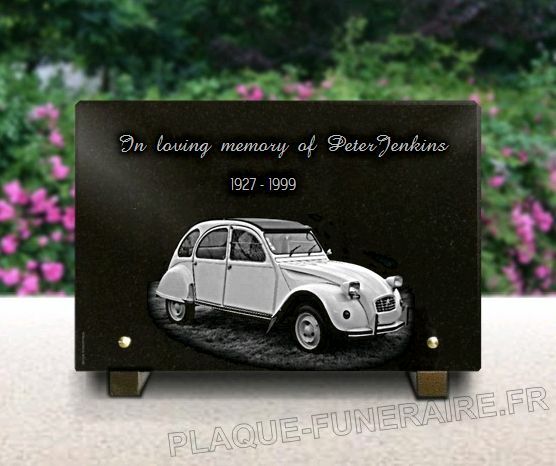 Engraved memorial plaque with old car. Engraved old car on a memorial plaque. To put on the tomb. 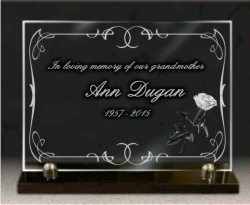 Granite memorial plaque with the engraving of an old car. 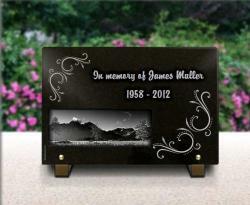 This is a model of a granite memorial plaque to put in memorial park thanks to 2 metal bases. They are in aluminium, a stainless material. There is the engraving of a photo of a car. It is an old car, type of Renault. You can personalise this model, if you want to, there is a button just below. 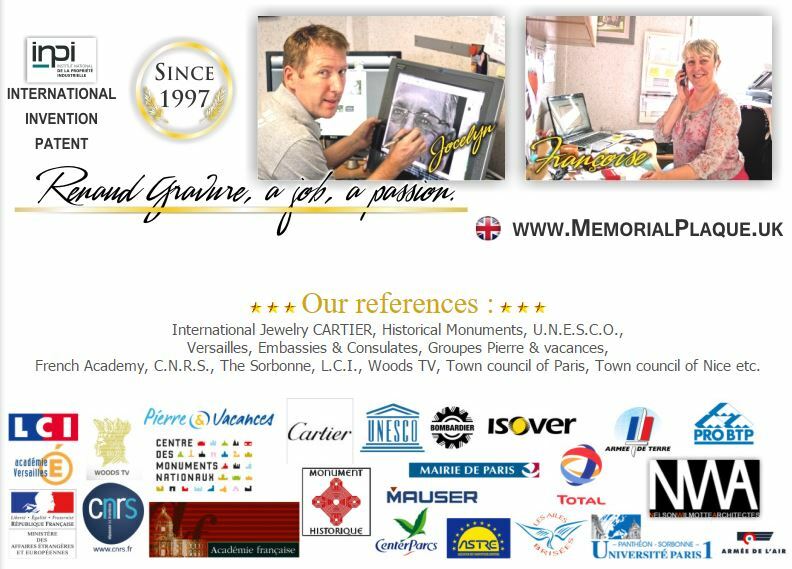 Creating a memorial plaque can be difficult, because there is a lot of examples on the Internet, and we are sometimes lost among them. What to do ? Follow yourself. You can choose to engrave a long text or just a small sentence. 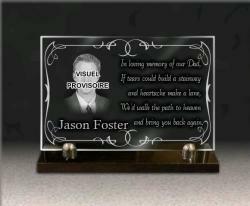 Most of the time, people engrave a pattern, a picture of something the deceased loved. Here a car for a fan. You are free to add the pattern of your choice. We engrave all the elements, so it is stable in time. 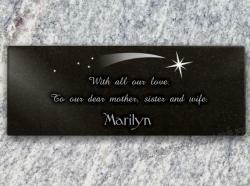 It is a 20cm x 30cm granite memorial plaque, with two aluminium feet and brass screws. There is in italics, in cursive script, a sentence "In loving memory of Peter Jenkins". Below, in straight, the epitaph "1927 - 1999", only the years of birth and death. Those two lines are in an average size, not big or small. In the center on the plaque, there is an old car, a type of old Renault car, from the left to the right. We can see a side and all the front. There is no background. It is a photo of ours. Finding the car : "High definitions drawings", "Create drawing #1". A window opens and you have a large list of categories. Click on "Automobile". In this file, you will have over 22 different images of cars to engrave. Writing the sentence "Texts" ; "Create text #1". In the window, type your text, and if you wish to change the font, click on "2: Letters' shapes", but it is already the writing of the model. Modify its size on the third thumbnail. Writing the epitaph : "Texts" ; "Create text #2". In the window, type the dates of the deceased, and to have the same font, click on "Style 11"